I just checked my Kraft First Taste account and was excited to see the new offers. Head over and log into your Kraft First Taste account and see if you have the new offer from Oscar Mayer. If you haven’t signed up yet, you should. Kraft First Taste lets you try new offers for free. I am so bummed I missed the FREE Kraft Shredded Cheese with a Touch of Philly offer yesterday. But here is another great offer from Kraft First Taste. 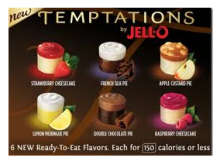 Head over to Kraft First Taste and check your account. 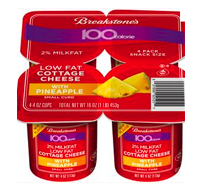 You may have an offer for the Free Breakston’s 100 Calorie Cottage Cheese Snacks. If you don’t have it, keep checking. Not everyone gets the offer at the same time. Don’t wait, after yesterday we know these offers don’t last long! If you are new to Kraft First Taste, sign up now. It’s free and you’ll get to be the first to try new products from Kraft. If you signed up for Kraft First Taste, head over and check your account. I just got a coupon for a FREE PHILADELPHIA Cooking Creme. I’ve seen these advertised but I haven’t tried them yet. You bet I will with my free coupon! If you havne’t signed up yet for Kraft First Taste, do it. It’s free and you can get great offers just like this one!